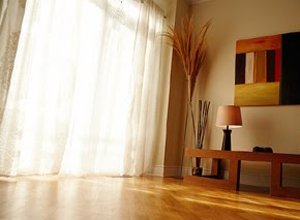 Room darkening lining, or Blackout Backing is commonly found in hotel rooms as curtain linings or drapery fabric, blocking most or all of the light that would otherwise enter through a window when the curtains are closed. They are an essential element of getting great sleep. Blackout backing is also used on movie theater screens and planetarium domes. 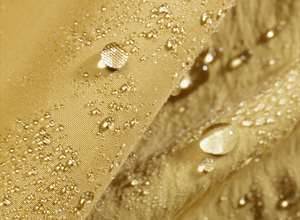 Blackout-backed fabrics also have added insulating and noise-dampening properties, due to their density and opacity. Blackout Backing is an opaque fabric lining that has the distinctive quality of blocking light, and comes in two forms: 2-pass and 3-pass. Two-pass has two "passes" of foam on a fabric, a black layer and a white layer. With only two passes, the black layer of foam will be visible on one side of the backing. 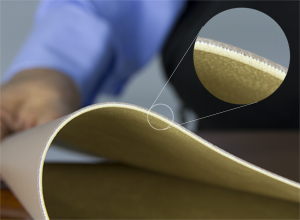 The 3-pass variation has the black layer sandwiched between two white layers of foam. Three-pass can also be used as an upholstery fabric, as the black layer is not visible. Our FabBlackout ® process uses 3-pass blackout backing. 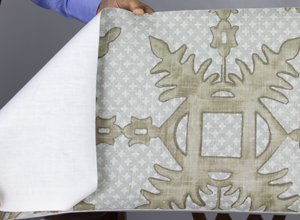 We laminate your fabric with 100% blackout lining or translucent backing for any room darkening applications. 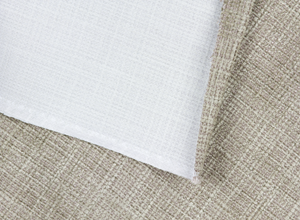 This treatment allows you to use fabric of your choice as roller shade or drapery material. 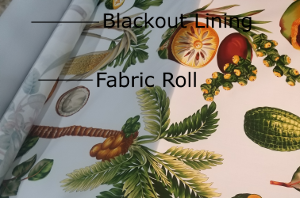 If you don't need our 3-pass backing for complete darkening, you can send your fabric to us along with the backing of your choice, and we will be happy to process a custom COM Order (Customer's Own Materials). The finished material can be fabricated easily, and no additional lining is required. 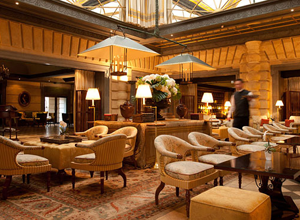 It is also Fire Retardant (FR) treated for commercial applications. It's easy to initiate a COM order, or any other order. If you are ready to put us to work for you, simply click here! 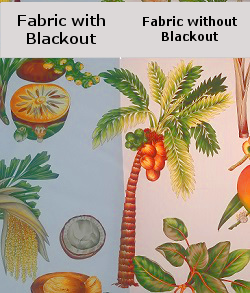 See and feel Blackout Backing for Draperies and Roller Shades on your own fabric. Send us a sample of your fabric and our technicians will gladly apply the appropriate backing to suit your application (for a small fee). We can also send you a free brochure of representative samples if you prefer.